PlayerUnknown’s BattleGrounds is one of the most popular Action game released by TenCent Games. After season 4 ended on January 17, there was a new season called the PUBG Season 5 is expected but it didn’t happen and it will happen soon. No ETA was announced for the same. You might be wondering what’s the new PUBG update brings on January 17. It’s the new 0.10.0 update which was announced last month but it was in beta stage. Infact the new gun named MK47 Mutant was announced for last month release but as a player I didn’t find it in the game anywhere. In beta, this gun was not available. I was playing Sanhok and quite surprisingly I saw this new PUBG MK47 Mutant gun available. It will be now available in Sanhok, Miramar and Erangel modes. MK47 Mutant is an assault rifle, capable of single and two burst round fire modes. It’s an AR weapon using 7.62 ammo and has a gun capacity of 20. If you add an extended magazine to it, you can extend the capacity to 30 bullets. Almost all attachments can be used with this gun. As far as I see that there are some few addition and regular improvements and bug fixes apart from introducing a new Snow theme. Vikendi, a 6km x 6km snow map, is coming in the new update! Availability will be announced at a later date, so make sure to keep an eye out! Added a Snow theme to the main menu. Players may now report suspicious behavior while spectating after dying. Added Firearms Finish Upgrade System. So, there is PUBG Season 5 0.10.5 coming up soon. 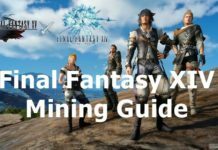 It’s expected to feature Zombie mode. 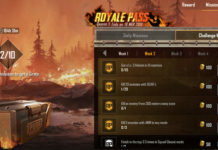 The Royal Pass Season 5 is now available for purchase. Are you ready to purchase the Royal elite pass? 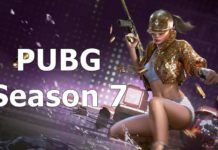 PUBG Season 5 Weekly missions can be seen here.